Split, Croatia - 08.01.2017: Ferryboat ship sailing and incoming into marina in Split, Croatia. Summer time, August. 4k00:21Split, Croatia - 08.01.2017: Ferryboat ship sailing and incoming into marina in Split, Croatia. Summer time, August. 4k00:10Mediterranean sea - October 7, 2017: Large Grimaldi Lines RoRo (Roll on/off) vessel cruising the Mediterranean sea.Based in Naples, Italy. 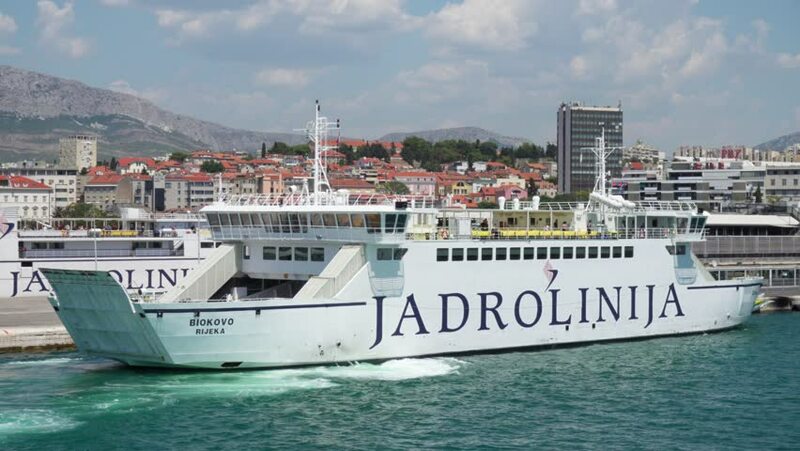 Grimaldi operates a large fleet of ro-ro vessels. hd00:14WARNERMUNDE, GERMANY - CIRCA 2012: Warnermunde beach in Germany. hd00:07HONG KONG - 27 JULY: A container ship leaves the port of Hong Kong on July 27, 2010.